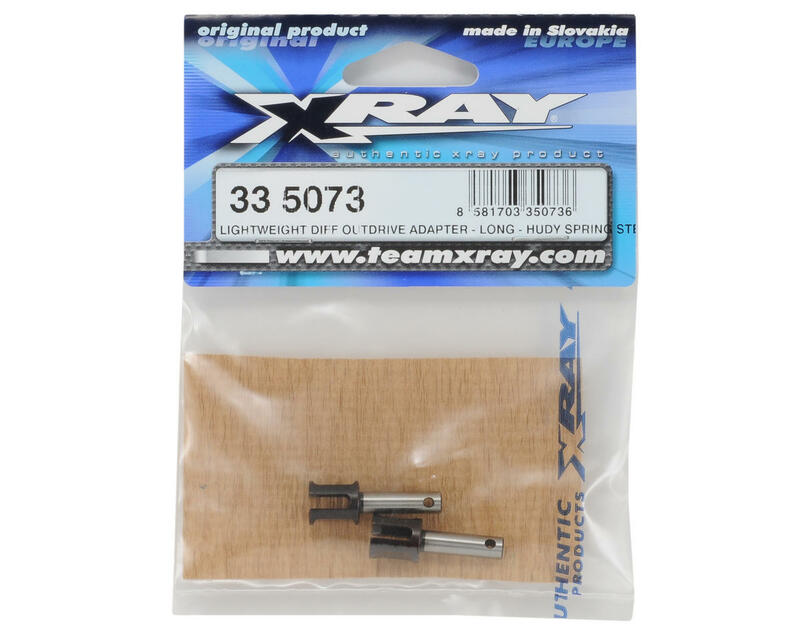 This is a set of two optional XRAY Long Differential Outdrive Adapters, and are intended for use with the XRAY NT1 and NT1 2009 Spec. For serious racers who are conscious of weight savings, XRAY offers lightweight CNC-machined differential outdrive adapters that are made from tough HUDY Spring Steel™. 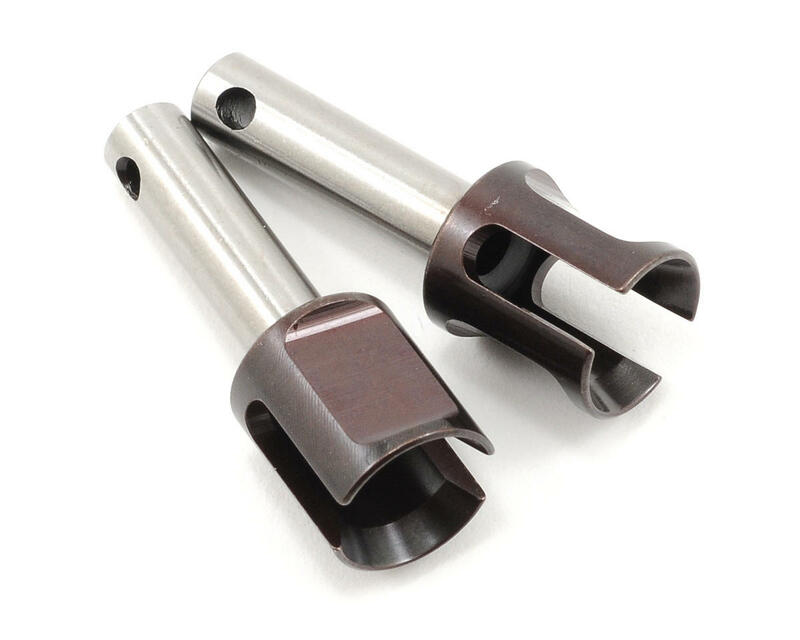 The shafts are precision ground and polished for smooth operation, and have been strategically machined to be more than 25% lighter than the standard #335071 diff outdrive adapters. NOTE: Fits #335000 front gear differential.